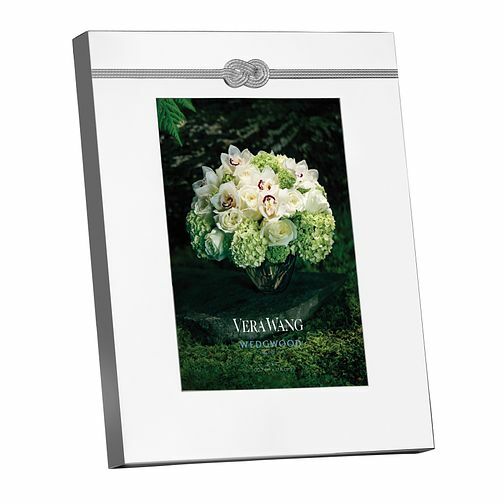 A timeless and elegant 5 x 7" photo frame from Vera Wang's Infinity collection, in collaboration with Wedgwood gifts. Boasting a simple design, the delicately braided silver tone infinity represents eternal love. A simply beautiful gift for a special occasion.